Don't worry. It's just the fine folks of the 501st Legion doing what they do best: using their love of the Star Wars saga to do good in the community. 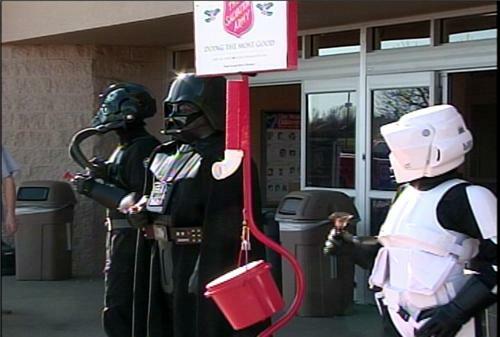 In this case it's volunteering to ring the bell for those Salvation Army red kettles in Jefferson City, Missouri. Click here for the story and more photos. "You will empty your wallet into the bucket."